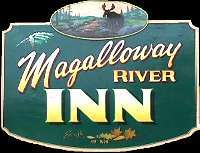 Snowmobiling, Great, North, Woods, Region, New Hampshire, Amsoil, Trails, snowmobile, clubs, lodging, information, info, lodging, hotels, motels, where, to, stay, riding, northern, snodeo, events, calendar, Interceptor, oil, lubricant, chain, case, oil, power, valves, variable, exhaust, direct, jobber, for, sale, Ed, Sanders, Unimog, Mercedes. Spending too much on fuel? Click here. Use about 10% less gas (or diesel)! Less friction means less fuel used. Please patronize our sponsors... No Sales Tax in New Hampshire! Tell 'em Ed Sanders sent you via the Internet, please! Proven 2-cycle and gearbox oils to improve performance, save gas and reduce pollution! You can get it for under $20 a gallon! 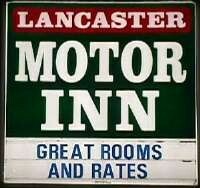 Lancaster Motor Inn, Main Street, Routes 2 & 3, Lancaster, NH Ride right from the parking lot! Route 3, Columbia, NH Snowmobile trail access right from your cabin. Get Amsoil here! New Hampshire Snowmobile Rentals and Tour Co.
NH Route 3, Whitefield, NH. Big Rock Campground, Route 3, North Stratford. Open year 'round. Snowmobile and ATV trail access right from your camp site. Get Amsoil here! Legend Spring Morgan Farm, Brunswick, Vermont, USA - Apartment for rent weekends or weekly. Click here to check the Calendar Section for events and other happenings! LISTING OF SNOWMOBILE CLUBS WHO SERVICE THE TRAILS YOU ENJOY! 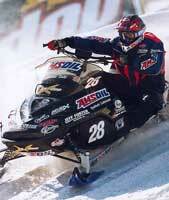 Click here to see pictures of the 2003 Snowmobile Drags! The environmental wackos want to get rid of snowmobiles and other 2-cycle recreation vehicles entirely. The clouds of blue smoke caused by oils other than Amsoil give them plenty of visual evidence to push their cause. There's no reason why we can't "have our cake and eat it too". If you and everyone else switched to Amsoil 2-cycle oils, the environment would be cleaner and the enviros would have one less weapon to use. Click here to learn more about Amsoil and how you can get increased performance, less plug fouling, less carbon, less smoke and greater fuel economy. This is nothing new. I've used the stuff in everything I've owned for over 23 years. If the enviros ban your machines due to the clouds of blue smoke made by petroleum oil, you're out of business! Ducret's Sporting Goods  140 Main St.
Lemieux Garage  130 Main St.
Emerson & Son, Inc.  28 State St.
Groveton Kwik Stop  3 Brooklyn St.
FB Spaulding 48 Bunker Hill St.
Lancaster Kwik Stop 100 Bridge St. Granite State Power Equipment  Rt. 3 & Black Lake Rd. JR's Mini Mart   Main St. Tall Timber Lodge 231 Beach Rd. The Last Cast  Province Rd. 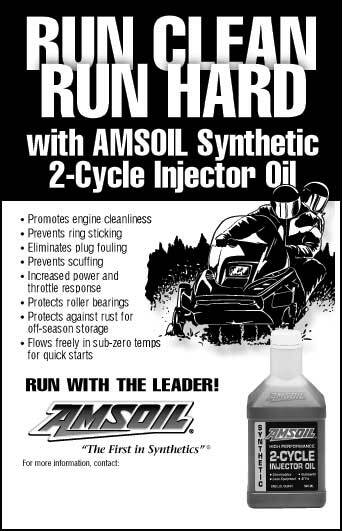 Use AMSOIL 2-cycle oil - More power, better performance! Municipal Parking Lot  Main St.
Use AMSOIL 2-cycle oil - Easier starting, less wear! I will be a good sportsman. I recognize that people judge all snowmobilers by my actions. will use my influence with other snowmobilers to promote sportsmanlike conduct. I will not litter any trails or camping areas, nor will I pollute streams or lakes. I will carry out what I carry in. I will make myself and my vehicle availabl. to assist in search and rescue missions. I will not interfere with the activities of other winter sportsmen. I will respect their rigt to enjoy their recreational activities and facility. I will know and obey all federal, state, (or provincial), and local rules regulating the operation of snowmobiles in areas where I snowmobile. I will not snowmobile where prohibited. The company claims to keep you & your sled afloat if you decide to go "swimming". E-Mail: webmaster@allroutes.to Copyright 2001, 2002, 2003, 2004, 2005 by Ed Sanders. Snowmobiling, Great, North, Woods, Region, New Hampshire, Amsoil, Trails, snowmobile, clubs, lodging, information, info, lodging, hotels, motels, where, to, stay, riding, northern, snodeo, events, calendar, Interceptor, oil, lubricant, chain, case, oil, power, valves, variable, exhaust, direct, jobber, for, sale, Ed, Sanders, Unimog, Mercedes. Snowmobiling, Great, North, Woods, Region, New Hampshire, Amsoil, Trails, snowmobile, clubs, lodging, information, info, lodging, hotels, motels, where, to, stay, riding, northern, snodeo, events, calendar, Interceptor, oil, lubricant, chain, case, oil, power, valves, variable, exhaust, direct, jobber, for, sale, Ed, Sanders, Unimog, Mercedes. Snowmobiling, Great, North, Woods, Region, New Hampshire, Amsoil, Trails, snowmobile, clubs, lodging, information, info, lodging, hotels, motels, where, to, stay, riding, northern, snodeo, events, calendar, Interceptor, oil, lubricant, chain, case, oil, power, valves, variable, exhaust, direct, jobber, for, sale, Ed, Sanders, Unimog, Mercedes. Snowmobiling, Great, North, Woods, Region, New Hampshire, Amsoil, Trails, snowmobile, clubs, lodging, information, info, lodging, hotels, motels, where, to, stay, riding, northern, snodeo, events, calendar, Interceptor, oil, lubricant, chain, case, oil, power, valves, variable, exhaust, direct, jobber, for, sale, Ed, Sanders, Unimog, Mercedes. Snowmobiling, Great, North, Woods, Region, New Hampshire, Amsoil, Trails, snowmobile, clubs, lodging, information, info, lodging, hotels, motels, where, to, stay, riding, northern, snodeo, events, calendar, Interceptor, oil, lubricant, chain, case, oil, power, valves, variable, exhaust, direct, jobber, for, sale, Ed, Sanders, Unimog, Mercedes. Snowmobiling, Great, North, Woods, Region, New Hampshire, Amsoil, Trails, snowmobile, clubs, lodging, information, info, lodging, hotels, motels, where, to, stay, riding, northern, snodeo, events, calendar, Interceptor, oil, lubricant, chain, case, oil, power, valves, variable, exhaust, direct, jobber, for, sale, Ed, Sanders, Unimog, Mercedes. Snowmobiling, Great, North, Woods, Region, New Hampshire, Amsoil, Trails, snowmobile, clubs, lodging, information, info, lodging, hotels, motels, where, to, stay, riding, northern, snodeo, events, calendar, Interceptor, oil, lubricant, chain, case, oil, power, valves, variable, exhaust, direct, jobber, for, sale, Ed, Sanders, Unimog, Mercedes. Snowmobiling, Great, North, Woods, Region, New Hampshire, Amsoil, Trails, snowmobile, clubs, lodging, information, info, lodging, hotels, motels, where, to, stay, riding, northern, snodeo, events, calendar, Interceptor, oil, lubricant, chain, case, oil, power, valves, variable, exhaust, direct, jobber, for, sale, Ed, Sanders, Unimog, Mercedes. Snowmobiling, Great, North, Woods, Region, New Hampshire, Amsoil, Trails, snowmobile, clubs, lodging, information, info, lodging, hotels, motels, where, to, stay, riding, northern, snodeo, events, calendar, Interceptor, oil, lubricant, chain, case, oil, power, valves, variable, exhaust, direct, jobber, for, sale, Ed, Sanders, Unimog, Mercedes. Snowmobiling, Great, North, Woods, Region, New Hampshire, Amsoil, Trails, snowmobile, clubs, lodging, information, info, lodging, hotels, motels, where, to, stay, riding, northern, snodeo, events, calendar, Interceptor, oil, lubricant, chain, case, oil, power, valves, variable, exhaust, direct, jobber, for, sale, Ed, Sanders, Unimog, Mercedes. Snowmobiling, Great, North, Woods, Region, New Hampshire, Amsoil, Trails, snowmobile, clubs, lodging, information, info, lodging, hotels, motels, where, to, stay, riding, northern, snodeo, events, calendar, Interceptor, oil, lubricant, chain, case, oil, power, valves, variable, exhaust, direct, jobber, for, sale, Ed, Sanders, Unimog, Mercedes. Snowmobiling, Great, North, Woods, Region, New Hampshire, Amsoil, Trails, snowmobile, clubs, lodging, information, info, lodging, hotels, motels, where, to, stay, riding, northern, snodeo, events, calendar, Interceptor, oil, lubricant, chain, case, oil, power, valves, variable, exhaust, direct, jobber, for, sale, Ed, Sanders, Unimog, Mercedes. Snowmobiling, Great, North, Woods, Region, New Hampshire, Amsoil, Trails, snowmobile, clubs, lodging, information, info, lodging, hotels, motels, where, to, stay, riding, northern, snodeo, events, calendar, Interceptor, oil, lubricant, chain, case, oil, power, valves, variable, exhaust, direct, jobber, for, sale, Ed, Sanders, Unimog, Mercedes. Snowmobiling, Great, North, Woods, Region, New Hampshire, Amsoil, Trails, snowmobile, clubs, lodging, information, info, lodging, hotels, motels, where, to, stay, riding, northern, snodeo, events, calendar, Interceptor, oil, lubricant, chain, case, oil, power, valves, variable, exhaust, direct, jobber, for, sale, Ed, Sanders, Unimog, Mercedes. Snowmobiling, Great, North, Woods, Region, New Hampshire, Amsoil, Trails, snowmobile, clubs, lodging, information, info, lodging, hotels, motels, where, to, stay, riding, northern, snodeo, events, calendar, Interceptor, oil, lubricant, chain, case, oil, power, valves, variable, exhaust, direct, jobber, for, sale, Ed, Sanders, Unimog, Mercedes. Snowmobiling, Great, North, Woods, Region, New Hampshire, Amsoil, Trails, snowmobile, clubs, lodging, information, info, lodging, hotels, motels, where, to, stay, riding, northern, snodeo, events, calendar, Interceptor, oil, lubricant, chain, case, oil, power, valves, variable, exhaust, direct, jobber, for, sale, Ed, Sanders, Unimog, Mercedes. Snowmobiling, Great, North, Woods, Region, New Hampshire, Amsoil, Trails, snowmobile, clubs, lodging, information, info, lodging, hotels, motels, where, to, stay, riding, northern, snodeo, events, calendar, Interceptor, oil, lubricant, chain, case, oil, power, valves, variable, exhaust, direct, jobber, for, sale, Ed, Sanders, Unimog, Mercedes. Snowmobiling, Great, North, Woods, Region, New Hampshire, Amsoil, Trails, snowmobile, clubs, lodging, information, info, lodging, hotels, motels, where, to, stay, riding, northern, snodeo, events, calendar, Interceptor, oil, lubricant, chain, case, oil, power, valves, variable, exhaust, direct, jobber, for, sale, Ed, Sanders, Unimog, Mercedes. Snowmobiling, Great, North, Woods, Region, New Hampshire, Amsoil, Trails, snowmobile, clubs, lodging, information, info, lodging, hotels, motels, where, to, stay, riding, northern, snodeo, events, calendar, Interceptor, oil, lubricant, chain, case, oil, power, valves, variable, exhaust, direct, jobber, for, sale, Ed, Sanders, Unimog, Mercedes. Snowmobiling, Great, North, Woods, Region, New Hampshire, Amsoil, Trails, snowmobile, clubs, lodging, information, info, lodging, hotels, motels, where, to, stay, riding, northern, snodeo, events, calendar, Interceptor, oil, lubricant, chain, case, oil, power, valves, variable, exhaust, direct, jobber, for, sale, Ed, Sanders, Unimog, Mercedes. Snowmobiling, Great, North, Woods, Region, New Hampshire, Amsoil, Trails, snowmobile, clubs, lodging, information, info, lodging, hotels, motels, where, to, stay, riding, northern, snodeo, events, calendar, Interceptor, oil, lubricant, chain, case, oil, power, valves, variable, exhaust, direct, jobber, for, sale, Ed, Sanders, Unimog, Mercedes. Snowmobiling, Great, North, Woods, Region, New Hampshire, Amsoil, Trails, snowmobile, clubs, lodging, information, info, lodging, hotels, motels, where, to, stay, riding, northern, snodeo, events, calendar, Interceptor, oil, lubricant, chain, case, oil, power, valves, variable, exhaust, direct, jobber, for, sale, Ed, Sanders, Unimog, Mercedes. Snowmobiling, Great, North, Woods, Region, New Hampshire, Amsoil, Trails, snowmobile, clubs, lodging, information, info, lodging, hotels, motels, where, to, stay, riding, northern, snodeo, events, calendar, Interceptor, oil, lubricant, chain, case, oil, power, valves, variable, exhaust, direct, jobber, for, sale, Ed, Sanders, Unimog, Mercedes. Snowmobiling, Great, North, Woods, Region, New Hampshire, Amsoil, Trails, snowmobile, clubs, lodging, information, info, lodging, hotels, motels, where, to, stay, riding, northern, snodeo, events, calendar, Interceptor, oil, lubricant, chain, case, oil, power, valves, variable, exhaust, direct, jobber, for, sale, Ed, Sanders, Unimog, Mercedes. Snowmobiling, Great, North, Woods, Region, New Hampshire, Amsoil, Trails, snowmobile, clubs, lodging, information, info, lodging, hotels, motels, where, to, stay, riding, northern, snodeo, events, calendar, Interceptor, oil, lubricant, chain, case, oil, power, valves, variable, exhaust, direct, jobber, for, sale, Ed, Sanders, Unimog, Mercedes. Snowmobiling, Great, North, Woods, Region, New Hampshire, Amsoil, Trails, snowmobile, clubs, lodging, information, info, lodging, hotels, motels, where, to, stay, riding, northern, snodeo, events, calendar, Interceptor, oil, lubricant, chain, case, oil, power, valves, variable, exhaust, direct, jobber, for, sale, Ed, Sanders, Unimog, Mercedes. Snowmobiling, Great, North, Woods, Region, New Hampshire, Amsoil, Trails, snowmobile, clubs, lodging, information, info, lodging, hotels, motels, where, to, stay, riding, northern, snodeo, events, calendar, Interceptor, oil, lubricant, chain, case, oil, power, valves, variable, exhaust, direct, jobber, for, sale, Ed, Sanders, Unimog, Mercedes. Snowmobiling, Great, North, Woods, Region, New Hampshire, Amsoil, Trails, snowmobile, clubs, lodging, information, info, lodging, hotels, motels, where, to, stay, riding, northern, snodeo, events, calendar, Interceptor, oil, lubricant, chain, case, oil, power, valves, variable, exhaust, direct, jobber, for, sale, Ed, Sanders, Unimog, Mercedes. Snowmobiling, Great, North, Woods, Region, New Hampshire, Amsoil, Trails, snowmobile, clubs, lodging, information, info, lodging, hotels, motels, where, to, stay, riding, northern, snodeo, events, calendar, Interceptor, oil, lubricant, chain, case, oil, power, valves, variable, exhaust, direct, jobber, for, sale, Ed, Sanders, Unimog, Mercedes. Snowmobiling, Great, North, Woods, Region, New Hampshire, Amsoil, Trails, snowmobile, clubs, lodging, information, info, lodging, hotels, motels, where, to, stay, riding, northern, snodeo, events, calendar, Interceptor, oil, lubricant, chain, case, oil, power, valves, variable, exhaust, direct, jobber, for, sale, Ed, Sanders, Unimog, Mercedes. Snowmobiling, Great, North, Woods, Region, New Hampshire, Amsoil, Trails, snowmobile, clubs, lodging, information, info, lodging, hotels, motels, where, to, stay, riding, northern, snodeo, events, calendar, Interceptor, oil, lubricant, chain, case, oil, power, valves, variable, exhaust, direct, jobber, for, sale, Ed, Sanders, Unimog, Mercedes. Snowmobiling, Great, North, Woods, Region, New Hampshire, Amsoil, Trails, snowmobile, clubs, lodging, information, info, lodging, hotels, motels, where, to, stay, riding, northern, snodeo, events, calendar, Interceptor, oil, lubricant, chain, case, oil, power, valves, variable, exhaust, direct, jobber, for, sale, Ed, Sanders, Unimog, Mercedes. Snowmobiling, Great, North, Woods, Region, New Hampshire, Amsoil, Trails, snowmobile, clubs, lodging, information, info, lodging, hotels, motels, where, to, stay, riding, northern, snodeo, events, calendar, Interceptor, oil, lubricant, chain, case, oil, power, valves, variable, exhaust, direct, jobber, for, sale, Ed, Sanders, Unimog, Mercedes. Snowmobiling, Great, North, Woods, Region, New Hampshire, Amsoil, Trails, snowmobile, clubs, lodging, information, info, lodging, hotels, motels, where, to, stay, riding, northern, snodeo, events, calendar, Interceptor, oil, lubricant, chain, case, oil, power, valves, variable, exhaust, direct, jobber, for, sale, Ed, Sanders, Unimog, Mercedes. Snowmobiling, Great, North, Woods, Region, New Hampshire, Amsoil, Trails, snowmobile, clubs, lodging, information, info, lodging, hotels, motels, where, to, stay, riding, northern, snodeo, events, calendar, Interceptor, oil, lubricant, chain, case, oil, power, valves, variable, exhaust, direct, jobber, for, sale, Ed, Sanders, Unimog, Mercedes. Snowmobiling, Great, North, Woods, Region, New Hampshire, Amsoil, Trails, snowmobile, clubs, lodging, information, info, lodging, hotels, motels, where, to, stay, riding, northern, snodeo, events, calendar, Interceptor, oil, lubricant, chain, case, oil, power, valves, variable, exhaust, direct, jobber, for, sale, Ed, Sanders, Unimog, Mercedes. Snowmobiling, Great, North, Woods, Region, New Hampshire, Amsoil, Trails, snowmobile, clubs, lodging, information, info, lodging, hotels, motels, where, to, stay, riding, northern, snodeo, events, calendar, Interceptor, oil, lubricant, chain, case, oil, power, valves, variable, exhaust, direct, jobber, for, sale, Ed, Sanders, Unimog, Mercedes. Snowmobiling, Great, North, Woods, Region, New Hampshire, Amsoil, Trails, snowmobile, clubs, lodging, information, info, lodging, hotels, motels, where, to, stay, riding, northern, snodeo, events, calendar, Interceptor, oil, lubricant, chain, case, oil, power, valves, variable, exhaust, direct, jobber, for, sale, Ed, Sanders, Unimog, Mercedes. Snowmobiling, Great, North, Woods, Region, New Hampshire, Amsoil, Trails, snowmobile, clubs, lodging, information, info, lodging, hotels, motels, where, to, stay, riding, northern, snodeo, events, calendar, Interceptor, oil, lubricant, chain, case, oil, power, valves, variable, exhaust, direct, jobber, for, sale, Ed, Sanders, Unimog, Mercedes. Snowmobiling, Great, North, Woods, Region, New Hampshire, Amsoil, Trails, snowmobile, clubs, lodging, information, info, lodging, hotels, motels, where, to, stay, riding, northern, snodeo, events, calendar, Interceptor, oil, lubricant, chain, case, oil, power, valves, variable, exhaust, direct, jobber, for, sale, Ed, Sanders, Unimog, Mercedes. Snowmobiling, Great, North, Woods, Region, New Hampshire, Amsoil, Trails, snowmobile, clubs, lodging, information, info, lodging, hotels, motels, where, to, stay, riding, northern, snodeo, events, calendar, Interceptor, oil, lubricant, chain, case, oil, power, valves, variable, exhaust, direct, jobber, for, sale, Ed, Sanders, Unimog, Mercedes. Snowmobiling, Great, North, Woods, Region, New Hampshire, Amsoil, Trails, snowmobile, clubs, lodging, information, info, lodging, hotels, motels, where, to, stay, riding, northern, snodeo, events, calendar, Interceptor, oil, lubricant, chain, case, oil, power, valves, variable, exhaust, direct, jobber, for, sale, Ed, Sanders, Unimog, Mercedes. Snowmobiling, Great, North, Woods, Region, New Hampshire, Amsoil, Trails, snowmobile, clubs, lodging, information, info, lodging, hotels, motels, where, to, stay, riding, northern, snodeo, events, calendar, Interceptor, oil, lubricant, chain, case, oil, power, valves, variable, exhaust, direct, jobber, for, sale, Ed, Sanders, Unimog, Mercedes. Snowmobiling, Great, North, Woods, Region, New Hampshire, Amsoil, Trails, snowmobile, clubs, lodging, information, info, lodging, hotels, motels, where, to, stay, riding, northern, snodeo, events, calendar, Interceptor, oil, lubricant, chain, case, oil, power, valves, variable, exhaust, direct, jobber, for, sale, Ed, Sanders, Unimog, Mercedes. Snowmobiling, Great, North, Woods, Region, New Hampshire, Amsoil, Trails, snowmobile, clubs, lodging, information, info, lodging, hotels, motels, where, to, stay, riding, northern, snodeo, events, calendar, Interceptor, oil, lubricant, chain, case, oil, power, valves, variable, exhaust, direct, jobber, for, sale, Ed, Sanders, Unimog, Mercedes. Snowmobiling, Great, North, Woods, Region, New Hampshire, Amsoil, Trails, snowmobile, clubs, lodging, information, info, lodging, hotels, motels, where, to, stay, riding, northern, snodeo, events, calendar, Interceptor, oil, lubricant, chain, case, oil, power, valves, variable, exhaust, direct, jobber, for, sale, Ed, Sanders, Unimog, Mercedes. Snowmobiling, Great, North, Woods, Region, New Hampshire, Amsoil, Trails, snowmobile, clubs, lodging, information, info, lodging, hotels, motels, where, to, stay, riding, northern, snodeo, events, calendar, Interceptor, oil, lubricant, chain, case, oil, power, valves, variable, exhaust, direct, jobber, for, sale, Ed, Sanders, Unimog, Mercedes. Snowmobiling, Great, North, Woods, Region, New Hampshire, Amsoil, Trails, snowmobile, clubs, lodging, information, info, lodging, hotels, motels, where, to, stay, riding, northern, snodeo, events, calendar, Interceptor, oil, lubricant, chain, case, oil, power, valves, variable, exhaust, direct, jobber, for, sale, Ed, Sanders, Unimog, Mercedes. Snowmobiling, Great, North, Woods, Region, New Hampshire, Amsoil, Trails, snowmobile, clubs, lodging, information, info, lodging, hotels, motels, where, to, stay, riding, northern, snodeo, events, calendar, Interceptor, oil, lubricant, chain, case, oil, power, valves, variable, exhaust, direct, jobber, for, sale, Ed, Sanders, Unimog, Mercedes. Snowmobiling, Great, North, Woods, Region, New Hampshire, Amsoil, Trails, snowmobile, clubs, lodging, information, info, lodging, hotels, motels, where, to, stay, riding, northern, snodeo, events, calendar, Interceptor, oil, lubricant, chain, case, oil, power, valves, variable, exhaust, direct, jobber, for, sale, Ed, Sanders, Unimog, Mercedes. Snowmobiling, Great, North, Woods, Region, New Hampshire, Amsoil, Trails, snowmobile, clubs, lodging, information, info, lodging, hotels, motels, where, to, stay, riding, northern, snodeo, events, calendar, Interceptor, oil, lubricant, chain, case, oil, power, valves, variable, exhaust, direct, jobber, for, sale, Ed, Sanders, Unimog, Mercedes. Snowmobiling, Great, North, Woods, Region, New Hampshire, Amsoil, Trails, snowmobile, clubs, lodging, information, info, lodging, hotels, motels, where, to, stay, riding, northern, snodeo, events, calendar, Interceptor, oil, lubricant, chain, case, oil, power, valves, variable, exhaust, direct, jobber, for, sale, Ed, Sanders, Unimog, Mercedes. Snowmobiling, Great, North, Woods, Region, New Hampshire, Amsoil, Trails, snowmobile, clubs, lodging, information, info, lodging, hotels, motels, where, to, stay, riding, northern, snodeo, events, calendar, Interceptor, oil, lubricant, chain, case, oil, power, valves, variable, exhaust, direct, jobber, for, sale, Ed, Sanders, Unimog, Mercedes. Snowmobiling, Great, North, Woods, Region, New Hampshire, Amsoil, Trails, snowmobile, clubs, lodging, information, info, lodging, hotels, motels, where, to, stay, riding, northern, snodeo, events, calendar, Interceptor, oil, lubricant, chain, case, oil, power, valves, variable, exhaust, direct, jobber, for, sale, Ed, Sanders, Unimog, Mercedes. Snowmobiling, Great, North, Woods, Region, New Hampshire, Amsoil, Trails, snowmobile, clubs, lodging, information, info, lodging, hotels, motels, where, to, stay, riding, northern, snodeo, events, calendar, Interceptor, oil, lubricant, chain, case, oil, power, valves, variable, exhaust, direct, jobber, for, sale, Ed, Sanders, Unimog, Mercedes. Snowmobiling, Great, North, Woods, Region, New Hampshire, Amsoil, Trails, snowmobile, clubs, lodging, information, info, lodging, hotels, motels, where, to, stay, riding, northern, snodeo, events, calendar, Interceptor, oil, lubricant, chain, case, oil, power, valves, variable, exhaust, direct, jobber, for, sale, Ed, Sanders, Unimog, Mercedes. Snowmobiling, Great, North, Woods, Region, New Hampshire, Amsoil, Trails, snowmobile, clubs, lodging, information, info, lodging, hotels, motels, where, to, stay, riding, northern, snodeo, events, calendar, Interceptor, oil, lubricant, chain, case, oil, power, valves, variable, exhaust, direct, jobber, for, sale, Ed, Sanders, Unimog, Mercedes. Snowmobiling, Great, North, Woods, Region, New Hampshire, Amsoil, Trails, snowmobile, clubs, lodging, information, info, lodging, hotels, motels, where, to, stay, riding, northern, snodeo, events, calendar, Interceptor, oil, lubricant, chain, case, oil, power, valves, variable, exhaust, direct, jobber, for, sale, Ed, Sanders, Unimog, Mercedes. Snowmobiling, Great, North, Woods, Region, New Hampshire, Amsoil, Trails, snowmobile, clubs, lodging, information, info, lodging, hotels, motels, where, to, stay, riding, northern, snodeo, events, calendar, Interceptor, oil, lubricant, chain, case, oil, power, valves, variable, exhaust, direct, jobber, for, sale, Ed, Sanders, Unimog, Mercedes. Snowmobiling, Great, North, Woods, Region, New Hampshire, Amsoil, Trails, snowmobile, clubs, lodging, information, info, lodging, hotels, motels, where, to, stay, riding, northern, snodeo, events, calendar, Interceptor, oil, lubricant, chain, case, oil, power, valves, variable, exhaust, direct, jobber, for, sale, Ed, Sanders, Unimog, Mercedes.